How to make money from mobile game applications ? How to make money from you mobile game applications is one of the constant recurring dilemmas today, although its can be used to generate revenue, its not cheap to create. The cost to develop a mobile application can vary depending on the development you require. Nevertheless, the cost for developing a mobile application makes us (the owners) want to recover the investment spent on the application. One of the simplest options is to offer free mobile applications, and charge for the advertising that is displayed in the app. 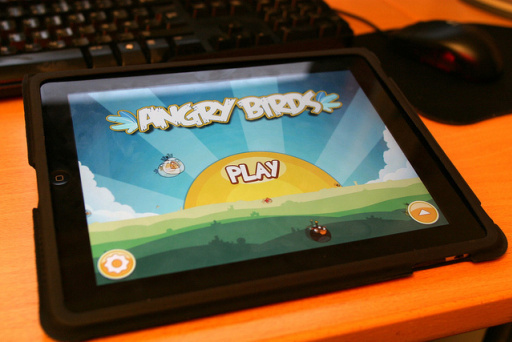 This is the case for many mobile games such as “Angry Birds”. Moving on, it is common to charge for additional content within your application, this is referred to as In-App purchasing. That is if the download is free to users, however a subscription maybe required, similar to how Spotify was a few months ago. This strategy is very common in mobile gaming today; in fact Candy Crush Saga has implemented this method, although native to PC, by migrating their game to mobile devices; reports have shown they make a staggering of $40,000-$45,000 a day, by charging the users for extra lives and “boosters”. In addition, a study carried out by playspan, revealed that one in three players spend real money on digital purchases of this type. The simplest solutions would definitely be an initial micropayment to download the application. This method is most common for iOS, according to various studies of this platform; users are more likely to download paid content from the App Store, compared to Google Play. The mobile Game “Cut The Rope” is a good example of this, although there is a very short trail and advertising, the full mobile game is available on the App Store for $4.99 while on Google Play it is much less. The truth of the matter is without advertising and pay, it is difficult to generate an income from your app. Even if you have great user base and your application is easy to navigate around. However, there are examples of mobile applications that have not generated revenue, but because of the demand and popularity established, large corporations end up buying these applications. The case where Facebook bought Instagram for $1 billion is a clear example.